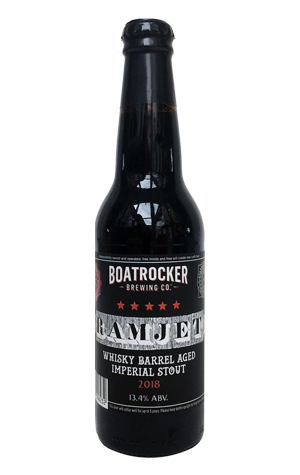 Since its first appearance back in 2013, Boatrocker's flagship Ramjet has ploughed a familiar path. The imperial stout is always aged in Starward casks before blending. It picks up a combination of people's choice and beer competition awards. It causes a buzz upon release (especially since the brewery started its annual Ramjet Day). And it tends to spawn ever more variations (with Dramjet a new addition in 2018).